Do you like to take lots of photographs of your kids but when they are playing in swimming pool, you can’t join them in pool and take pictures at the same time, till you don’t have any waterproof camera with you. Now if you don’t have, let me help you in making one (as you can see in above image). 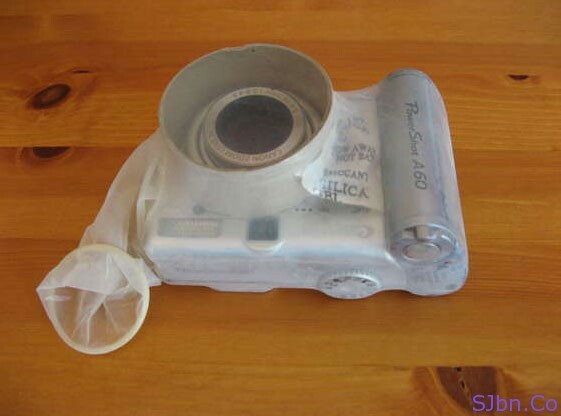 To make a camera waterproof all you need is a camera, a packet of silica-gel, a roll of cardboard, couple of condoms (clear and non-lubricated) and glue. First take the cardboard roll and place it around the lens so that you can easily zoom-in and zoom-out, then place silica-gel packet beside the cardboard roll so it can absorb all the moisture inside, slip the camera inside one condom, tie a knot and block end point with glue, now slip it into another condom, tie a knot and block end point with glue. 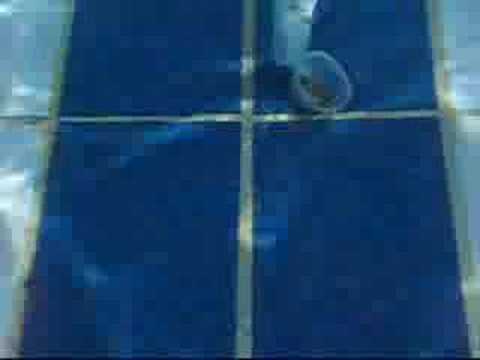 And now go with your kids in pool with your camera and enjoy while taking photos. This will especially help a lot of Indians or those who celebrate Holi type of festival, where people play with water and different colors. And good news is Holi is also going to come within few weeks (this year it is on March 8, 2012). Note: – Your photographs may not come very clear but you can enjoy taken underwater video and photography.